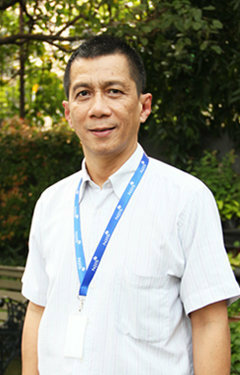 NJIS celebrates its diversity and pride by its highly qualified teaching faculty. NJIS consistently has the largest number of highly qualified native speaker teachers in North Jakarta to take care of your children. Prior to being appointed Headmaster at NJIS, Mr. Bendel served as the Head of Upper School at the Rabun Gap-Nacoochee School for three years, and as the Dean of Student Affairs for nine years at The Americab School in Switzerland. He has graduated from Georgetown University with an MA in Government, and from Virginia Tech with a BA in International Studies. He is currently enrolled in a doctoral program at Northeastern University in Curriculum Teaching and Learning. He will be joined at NJIS by his wife, Jennifer, who is also a lifelong educator, and will be serving NJIS as the Curriculum Coordinator. Jennifer Bendel serves as the Curriculum Coordinator at NJIS. She is from the United States of America and has earned a Masters of Science in Education from Virginia Tech. 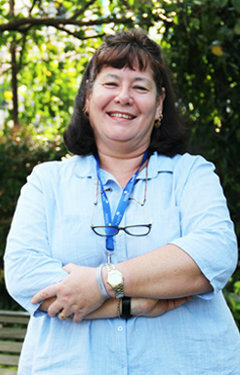 She has worked in education for over 20 years in both regular and adapted physical education. She has experience in curriculum development, served as an interim elementary school head, and taught health, history, science, art and music. Jen has two grown sons and one perfect grand daughter. “My name is Ms. Esi Santi. 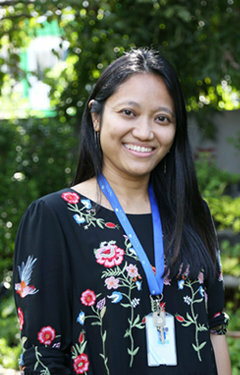 I am a Canadian certified teacher with a combined experience of 5 years of teaching in both Indonesia and Canada, working with students of all levels from Kindergarten up to Grade 12. I received my teaching credentials (B.Ed.) and Masters of Education (M.Ed.) from the University of Windsor, Ontario, Canada. Prior to teaching, I received my Bachelor of Economics (major in Accounting) from Gadjah Mada University, where I graduated to work as a public auditor at PriceWaterhouseCoopers and then Ernst & Young. Aside from being a teacher, I developed my entrepreneurship skills while I was on maternity leave in Canada. With my child's diet and allergy needs, combined with my interest in baking, I opened a vegan and gluten-free cupcake store. 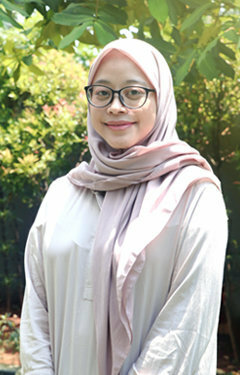 Dharmestya Adyana (Dea) holds a Bachelor of Humanities from University of Indonesia, Depok. She attained her master’s in early childhood from the Institute of Early Childhood at Macquarie University, North Sydney, Australia. 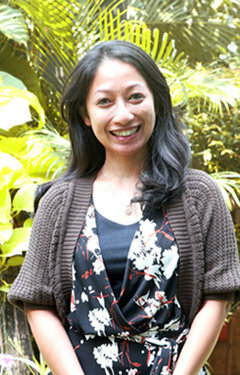 She has worked in the early childhood field for 12 years both in Sydney and in Jakarta. Throughout those years, she has enjoyed working and collaborating with families to educate their young children of various ages, from infancy through to age 6. “I grew up in the Pacific Northwest in Washington State, USA. I earned a double bachelor’s degree in English and Drama from the University of Washington. In high school and University, I caught the travel bug from traveling throughout Europe and living in London. I decided to return to school to earn my teaching credentials after becoming a substitute teacher and discovering my love for working with children. I earned my Masters in Education with teaching credentials in Elementary Education and Special Education. I taught at an elementary school in Auburn, Washington for seven years--during which time I completed my National Board Certification. I brought my family to Indonesia to foster love and respect for people of all cultures in my young daughter. Justin Shawn Wallace teaches 2nd grade. Justin is a native of Ohio in the United States and has earned his Master’s in Early Childhood Education and Bachelors of Science in Interdisciplinary Studies, both from Berry College in Rome, Georgia. His qualifications involve teaching for the past 12 years in the United States, Sierra Leone, Portugal and Paraguay. He is a published poet, has coached basketball, soccer, volleyball and cross country from the early elementary to varsity levels, received recognition for his part in the group Dancas com Historia, a medieval dance group in Sintra, Portugal and, most importantly, has a beautiful family who are all excited about our new adventures discovering Indonesia. Hello! My name is Miss. Kristin Peterson! I come from the city of Tacoma, Washington which is just south of Seattle on the west coast of the USA. I received my Masters in Education at the University of Washington. This will be my 9th year of teaching and my third year as an international teacher at NJIS. I enjoy teaching children, swimming, art, music, promoting good causes, volunteering, celebrating any and all of life’s milestones and holidays, traveling, and spending time by myself relaxing and watching life pass by as I sip my coffee. I am very thankful to return to NJIS and it brings me a lot of joy to return this amazing community. Mr. Wanner is the grade 4 homeroom teacher. 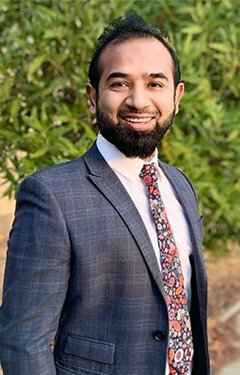 He earned his post-baccalaureate teaching license for grades K-6 through the University of West Florida after completing his Bachelor’s degree in Psychology from Northern Arizona University. He is currently in his sixth year of teaching at the elementary level. He has previous experience with both the British and American curriculum, teaching in schools in Europe, South America and Southeast Asia. His favorite subject to teach is reading, and he enjoys instilling a passion for learning in discovery through this medium. He is currently pursuing a Master’s in Education from Northern Arizona University. Hello! My name is Mr. Dan, a certified teacher from Canada. I am qualified to teach primary grades 4-6, and secondary grades 7-12 with specializations in Drama and Social Science. I also have a B.A. Honors in Drama in Education and Community and a minor in Psychology. At the start of my career, I developed public education campaigns for the City of Ottawa, including a series of cartoons teaching cyclists and drivers how to share the road safely. I then fell in love with teaching Drama, English and Math for several years in the Western Quebec School Board in Canada. I am very happy to join the talented team at NJIS, and I am proud to bring my own children here every day. Highlights from my teaching expertise include: My engaging use of technology, drama and music;My respectful and collaborative communication with students, staff and parents; My strong behavior management using a charismatic, sensitive and humorous approach. I feel confident that NJIS students will feel safe, energized and challenged by my innovative and attentive style. Ms. Jennifer Graham (Jen) has an Honors Bachelor of Arts Degree in Psychology and Social Work from University of Waterloo in Ontario, Canada as well as a Bachelor of Education from Nipissing University in North Bay, Ontario. She has also obtained numerous Additional Qualifications courses approved through the Ontario College of Teachers including Vocal Music, Health and Physical Education, as well as Guidance and Careers Studies. This is Jen’s fifteenth year in education, including ten years of teaching in Canada, two years in Vietnam, and most recently two years in Costa Rica. Jen is excited to join the team at NJIS this year as the College & Careers Counselor. It is Jen’s goal to inspire the young minds of today to be tomorrow’s problem solvers and leaders, teaching them to think globally as well develop their individual aspirations, goals, and dreams. “I am Mrs Tshering Dema L, from the beautiful kingdom of Bhutan. I have taught Science at different grade levels for the last 12 years in Bhutan, US and Kazakhstan. I have a Masters in Natural Science Education and Environment and Natural Resources from the University of Wyoming, US. My coolest teaching experience was having an 84 year old as a student while working as an Earth Watch program instructor in the US. Besides teaching I enjoy hiking and reading. I used to be an avid birder but traded that for motherhood. I love exploring places with my family. I am a life -long learner. So, I am here not only to teach but also to learn from my experiences. I truly believe that, I am who I am due to my experiences. 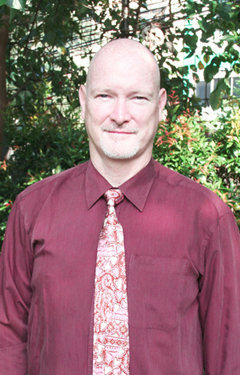 "Mr. David Dexter is our Upper School History teacher. He considers himself a Global Citizen(GC) who originated from Australia. 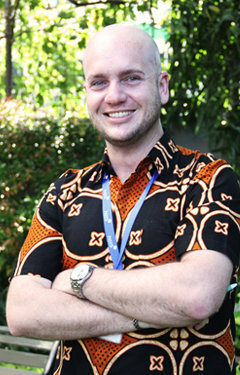 He earned a Bachelor of Asian Studies from Australian National University and a Post-Graduate Diploma of Secondary Education (History) from the University of Canberra, Australia. He loves teaching History and feels fortunate to work in an amazing school in a amazing city with such amazing students! His main interest is the state of Global issues. Please feel free to stop by and say hello-he is in room 103 upstairs." "Shaun M Russell is an avid reader who believes that reading is a window to the complex and beautiful world around us, and is fundamental for a person wanting to learn about and change the world around them. Shaun is the NJIS Teacher Librarian, Teacher of Journalism and Swimming Coach. 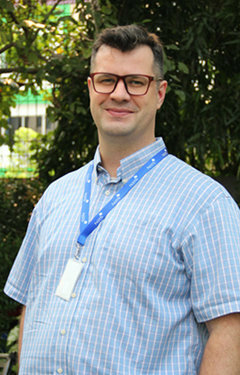 He is from Sydney, Australia, and has earned degrees in Southeast Asian History, Indonesian Language and History Teaching from the University of New South Wales and Universitas Gadjah Mada, Yogyakarta. His qualifications includes over 15 years, working for governments, universities and schools in Port Vila Vanuatu, Sydney, Jakarta, Kuala Lumpur and Singapore. Shaun's wife, Sulastri, is from Lampung and his children, Dominic and Xavier, are dual Indonesian/Australian citizens. He survived the sting of a four-inch centipede, once had coral growing out of his foot and enjoys reading Pramoedya Ananta Toer in bahasa Indonesian: "Painting is literature in colors. Literature is painting in language." My name is Kate, and I am from the United States. I decided to teach when I was in college while attending the University of San Francisco where I earned my B.A. and M.A. After teaching in the Bay Area, I decided to to teach abroad.I have taught English, Social Studies, and now I am the ELL teacher. I like being with students because they truly inspire me to be a better person, to be hopeful for the future. Ms. Robin Brian teaches Music in the Middle and Lower School. She is a native of the United States. most recently living in Cleveland, Ohio. She earned a Bachelor of Arts degree in Music Education, with a concentration in Piano and Voice in 1984. Robin was awarded Level I and II certification in Orff-Schulwerk pedagogy and was President of the Cleveland Chapter of American Orff-Schulwerk Association. Her qualifications include 5 years of international teaching in Sudan and China and 16 years in the United States, where she has the designation of Highly Qualified Teacher. Robin has taught in many capacities including Kindergarten through Grade 12 General Music, Middle and High School Choir, Elementary Band and directed a 20-member West African Drumming troupe. In China, Ms. Brian was Director of a select group of 65 singers in grades 2-5 that regularly performed in venues in Beijing, including the Beijing International Choral Festival. Mike Green teaches Visual Arts from third through twelfth grade. He is from the United States, and grew up in city of Pittsburgh in the state of Pennsylvania. His educational background includes a Bachelor's degree in Arts Education from Carlow University and a Master's in Art's Education from George Washington University with a concentration in 2D Art. He has taught in the US public school system for the past twelve years and most recently spent ten years teaching ninth grade through AP Art in the Washington D.C. area. Mr. Green continues to work and grow as an artist and an educator spending his free time drawing, painting, creating and rooting for the Pittsburgh Steelers. His motto for life and teaching is "Find something you love to do and you will never work a day in your life." “Hello! I am Teresa from the Pearl of the Orient, Philippines. I have earned my Bachelor of Secondary Education; major in Mathematics diploma at a young age of 20 from the Philippine Normal University (PNU). PNU is a university that specializes in education. I have worked in my home country for two years before starting my journey to teach in an international community at a young age of 22. In my 10 years of teaching internationally, I have taught Mathematics in various curriculum; from International Baccalaureate Middle Years Program (IB MYP) and Diploma Program (IB DP), International General Certificate of Secondary Education (IGCSE), Key Stage Curriculum, Victorian Certificate of Education (VCE: Australia) to Common Core Curriculum (CC: USA). My first stop was the City of Heroes of Indonesia; Surabaya, where I stayed for 7 fruitful years then braved the Golden Land of Myanmar, then to the Land of the Sleeping Crocodile, Timor-Leste and then presently here in the beautiful buzzing life of Jakarta; the Big Durian. My parents regard education highly. They have both emphasized the importance of being knowledgeable. And since I have 3 older siblings they had a full set of books that are conveniently lying around our house. And so, I remembered that every summer vacation I have already read and pore through all my sisters' books to be ready for the whole school year. And I never thought that it was a chore before nor I was robbed of my childhood. I enjoyed reading and being the annoying know-it-all as soon as the school starts. I enjoy making arts and crafts, baking and cooking, and dancing. I also enjoy running a mathematics club and dance class in the past where the children have enjoyed displaying their dance talent during International day. I also enjoy looking for ways to enhance the school environment and in particular the display areas around the school." "Hi, I'm Jaren Paul Vecino, I'm from the Philippines, the Dean of Students of the school. I graduated with a degree in Secondary Education major in Mathematics and I have been teaching for 12 years overseas. I have taught in Indonesia, Myanmar and Timor-Leste. I have taught different curriculums such as International Baccalaureate DP, IB MYB, IGCSE, VCE and Common Core. I recently graduated with a Diploma in Science teaching major in Biology in June 2016. I love reading fantasy novels and biographies too. I'm married to another Math teacher and have the most adorable 2-year-old daughter." “My name is Guntur Martinus, my students usually call me Mr. Thunder. The word “Guntur” means “Thunder” in English. I love kids! I started to teach when I was in Grade 7! I taught Sunday school children. I graduated from Penabur School and continued my education at Binus University. After graduated with a Bachelor’s Degree in Information Technology, I continued to achieve my Master’s Degree in Business. I’ve been a branded perfume distributor since 2005 to pay my university's fee and reach my dreams. 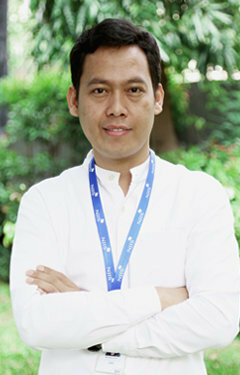 I’ve been an ICT teacher for 9 years and 5 months in 4 different international schools in Jakarta. My name is Mr Kamal Aziz and I am going to be a Lower School Bahasa Indonesia teacher. This will be my first year teaching at NJIS but my 12th year teaching at several school. I love teaching lower school students and all exploring, learning, and fun we get to have! I have a master’s degree in Indonesian Language and Literature (Bahasa Indonesia). 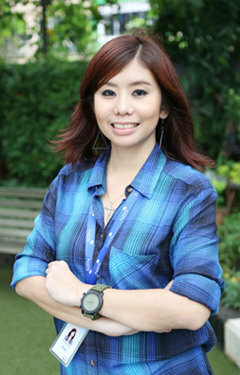 “I spent my childhood in Jakarta and Tangerang, Indonesia. I have been teaching as Civics, Bahasa Indonesia, and Social Studies since 2004. I have my bachelor and master degree in Civics and Social Science of Education. I got my teaching certification (Akta-IV) from State University of Jakarta. I am a dog and animal lover and really concern with the animal rights (domestic and wild animal). This is my first year teaching in NJIS, I have met incredible, amazing, tremendous students and colleagues here. I have got more new knowledge, joyfulness, and happiness from them. This is the biggest honor for me becoming a part of NJIS family. Please allow me to take this opportunity to introduce myself as the newly appointed Bahasa Indonesia, Indonesian Studies, and Islamic Religious Lesson at North Jakarta Intercultural School. Even before I joined this school, I was aware of the impact of the quality education that the school provides, on students who grow up to be responsible adults. I have 13 years of experience under my belt teaching various subjects; English, Bahasa Indonesia, Indonesian Studies, and Islamic Religious Lesson. Leveraging this experience, I anticipate that I will be able to contribute highly in helping students meet their curriculum goals, and provide them with a wider view of perception of these form of arts. Since I have taught students ranging from ages 4 to 18, I am well-aware of all levels of English literature education, and can quite comfortably incorporate technology into standard lessons. I believe this skill will help students in learning through both conventional means and modern ways.